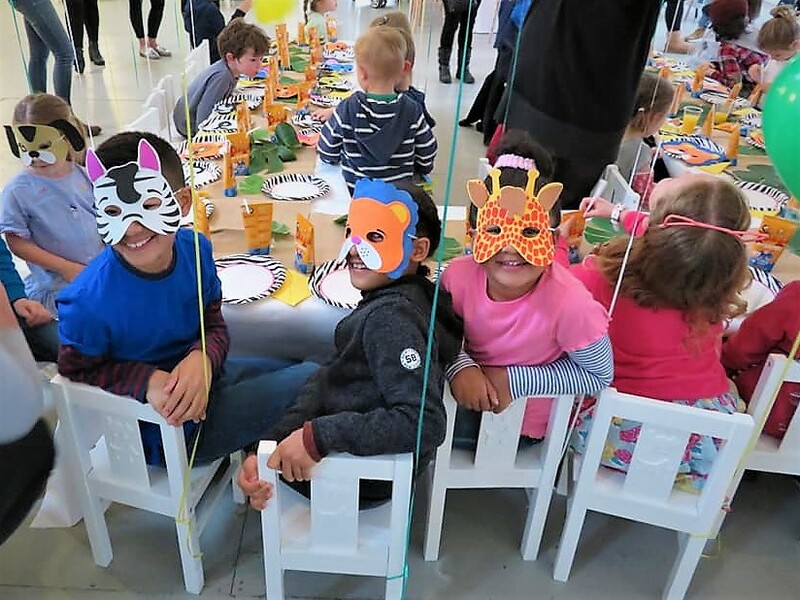 Yellow Zebra Safaris invited The Tiger Tales to their family fun day last month. I knew there would be meerkats and craft activities but it turned out to be much more. Safari Pete, wildlife adventurer and conservationist, was on site to teach us a bit about animals in their habitat, wild life conservation, how they feed and survive and communities that life alongside wildflife. Although the day was about creating memorable experiences, I got the gist that Yellow Zebra Safaris cares about animal conservation. My friend Mrs M and son Master L attended with us. To our amazement, Safari Pete didn’t just bring a couple of meerkats, he brought a mini safari. The event was held at the Core Clapton. Safari Pete had a crocodile, a snake, two spiders, a tree frog, a barn owl and of course the meerkats up in there! He was great at explaining the facts of animal survival. He shared with us the stories of some of the animals rescued after being abandoned by ill equipped owners. I thought the children would be upset seeing animals fed on other animals but he explained it in such a matter of fact way they were fine. I wasn’t even worried that my children were inches from a live snake! Crazy?! I know but he handled them all with such skill that it set us all at ease. 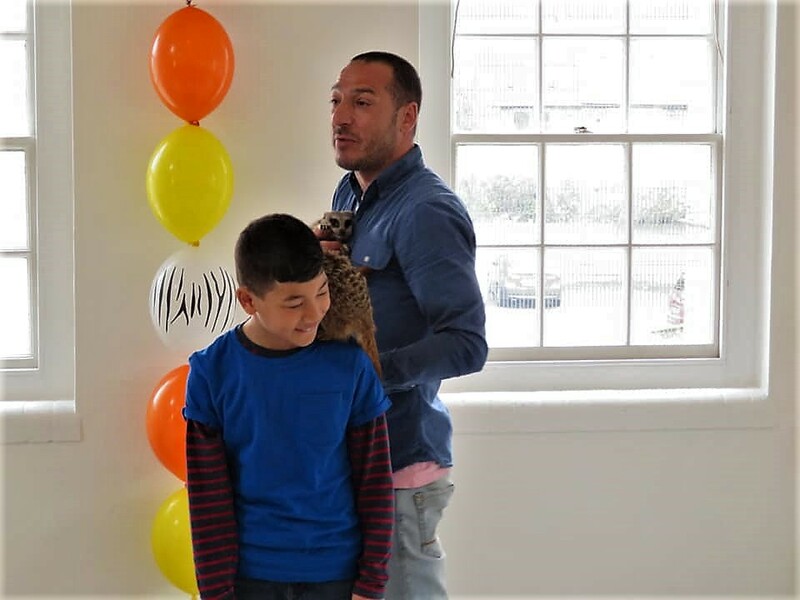 When the showcase was over, the children had a chance to meet and hold a meerkat. Meerkats are so adorable and cuddly; it would be easy to forget they were wild animals. After the animal showcase, we all had lunch. Then the kids moved on to painting animal shaped ceramic of their choice. I tell you, there we some funky looking elephants and lions. I’m not sure how well those animals would be able at camouflage in the wild, if they were actually designed in the way they were painted. Valentina’s elephant had bright pink stripes. While, Angelo’s lion had a heart painted on it’s chest. I have to say though, their little personalities really shone through in that project. If that wasn’t enough for our little clan, I’m not sure how but Val won us a family ticket to see Lion King courtesy Yellow Zebra Safaris. She guessed that 75 adults would weigh the same as elephant. Excuse the proud mum moment… THAT’S MY GIRL! While at the event, I met and spoke with Julian, Co-Founder, of Yellow Zebra Safaris. Julian has only ever been involved in safaris. He told me many of the staff either lived or were born in Africa. Sounds to me like they are a safe pair of hands to rely on, when booking a safari experience. I see why they say pride their selves for standing out on from the herd. I gathered Yellow Zebra Safari is passionate about in Rhino conservation. It’s easy to see why, though. The white and black rhinos now exist only in a few protected parks. The numbers are dwindling due to poaching and habitat loss. They are heading towards extinction. Apparently there are about 5,000 black rhinos in the wild. Black rhinos are the smaller of the two African rhino species. The most notable difference between white and black rhinos are their hooked upper lip. They live in Semi-Desert Savannah, Woodlands, Forests, Wetland of Namibia, Coastal East Africa. 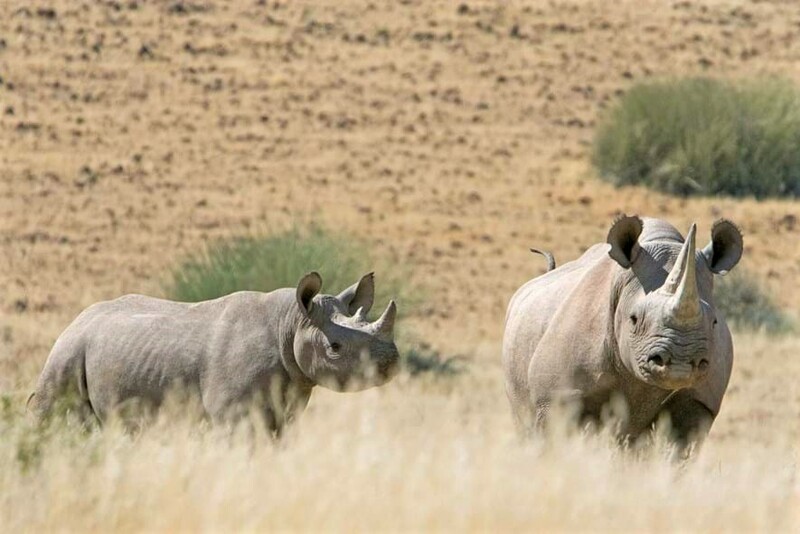 Yellow Zebra Safaris offer rhino experiences. Of the ones listed on their blog for World Rhino Day, the stay at the Lewa–Borana Wildlife Conservancy or the Saruni Rhino stood out to me. I like the idea of being out with the trackers spotting and recording the black rhinos. If you’re travelling with children, they also do family safari holidays. If safaris are not your thing they also go to Mauritius!! Yellow Zebra Safaris is more than an experience, it’s a way of life. 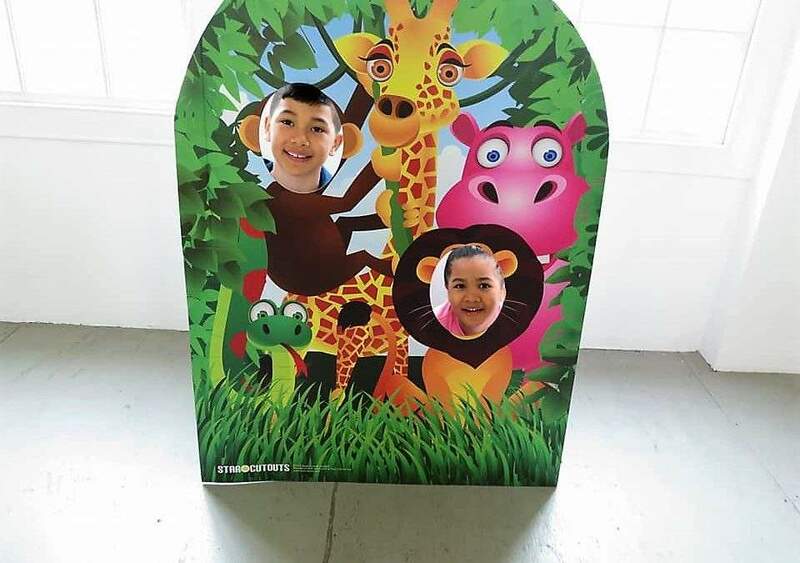 Thank you Yellow Zebra Safaris for an informativeness, fun-filled family day out. The Black Rhino image is a Yellow Zebra Safaris image.